And a tap upon your shoulder. It’s just the old gods getting older. The sun’s up for one more day, to be sure. Play it out gladly, for your card’s marked again. As the green man comes around. Sends your knuckles white as the thin stick bites. Well, it’s just your groaning pains. Here is a little background information on Beltane. Beltane was one of four Gaelic seasonal festivals: Samhain (~1 November), Imbolc (~1 February), Beltane (~1 May), and Lughnasadh (~1 August). Beltane marked the beginning of the pastoral summer season, when livestock were driven out to the summer pastures. Rituals were held at that time to protect them from harm, both natural and supernatural, and this mainly involved the “symbolic use of fire”. There were also rituals to protect crops, dairy products and people, and to encourage growth. The aos sí (often referred to as spirits or fairies) were thought to be especially active at Beltane (as at Samhain) and the goal of many Beltane rituals was to appease them. Most scholars see the aos sí as remnants of the pagan gods and nature spirits. 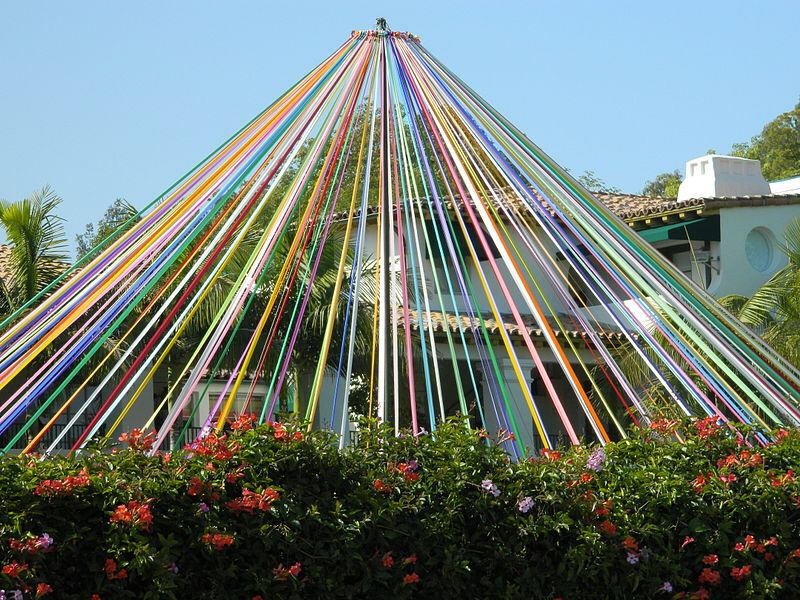 Beltaine was a “spring time festival of optimism” during which “fertility ritual again was important, perhaps connecting with the waxing power of the sun”. OK, now we will look at the poem. The old gods are described as getting older, possibly symbolizing the readiness for rebirth. In the second stanza, Anderson incorporates the sexual and fertility symbolism associated with Beltane. He expresses the concept of sympathetic magic, where human sexuality and fertility is connected with the fertility of the earth. The third stanza celebrates the dawn of the new year, and acknowledges the importance of the sun in the continuation of life. The final stanza forms a unique bridge between the old and the modern, between the wild and the “civilized.” We are presented with images of manicured parks, of towns built in a sterile and uniform fashion. But in the far-off wild country, fires are burning and the green man is ready to strike with his cane, causing our fragile construct of a world to collapse. I see the fire as symbolic of the deep desire to reject the industrial world that we have built and return to a more stable and sustainable way of life in accordance with Nature. And the green man is the embodiment of Nature. Ultimately, if we do not change our ways, the green man will smite us and we will be forced to return to our primal state. Anyway, thanks for stopping by. If you celebrate, I hope you and yours have a very merry Beltane! This sonnet is another one of the “fair youth” poems where Shakespeare entreats an unnamed young man to fulfill his duty by procreating and becoming a father and husband. Most of the metaphors in this poem employ images of nature to contrast youth and old age, such as “brave day” and “hideous night,” or the barren trees as opposed to the leafy, shade-giving ones. But there is one symbol that Shakespeare uses this poem that I found particularly interesting: barley. Barley is not overtly mentioned in this sonnet, but it is implied in the following two lines. Barley was an important crop in the British Isles. So much so that it became associated with the resurrection myth of John Barleycorn. For those of you who are unfamiliar with this myth, here is a short summary. John Barleycorn is a British folksong. The character of John Barleycorn in the song is a personification of the important cereal crop barley and of the alcoholic beverages made from it, beer and whisky. 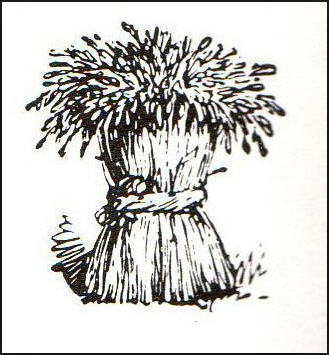 In the song, John Barleycorn is represented as suffering attacks, death and indignities that correspond to the various stages of barley cultivation, such as reaping and malting. So essentially, Shakespeare is using the resurrection myth popular in England to encourage the young man to have children. Just as the grain god is reborn through the burial (planting) of the seed, so must humans sow the seeds of rebirth to continue the cycle of life, both physically and spiritually. I have to say that I really like this sonnet, much more so than the previous eleven, mainly because of Shakespeare’s use of folklore and mythology. To conclude, I will add a musical interpretation of the John Barleycorn myth that is one of my all-time favorites. Enjoy, and thanks for stopping by. It’s May 1, so for those of you who celebrate, I wish you a blessed Beltane. I wanted to choose a poem that was appropriate for the day, and this one seems to express the essence of May Day. While Frost is communicating with the male deity, he clearly feels a connection to Nature and is in touch with the sacred act of regeneration and rebirth. Although it seems a little clichéd nowadays, he incorporates imagery of “the birds and the bees” to emphasize the sexual essence of spring. I personally really liked how he describes the hummingbird thrusting the phallic bill into the feminine blossom. That is by far the best metaphor in the poem. What makes this poem work, though, is the fact that it is a celebration, and the feeling of joy, love, and elation really comes across when you read it. I could feel the poet’s passion which he sees mirrored in Nature. And rightfully so, Frost acknowledges that the love he is witnessing and feeling comes from a divine source and that the act of procreation is truly a holy act. Thanks for stopping by and may your day be filled with blessings and happiness. I read this poem twice, even though I gleaned the meaning of it upon the first reading. 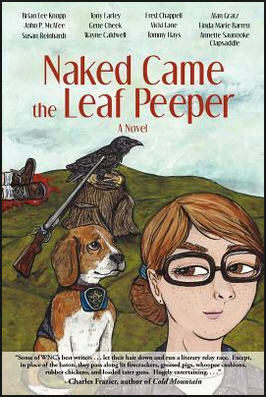 I just enjoyed it and wanted to read it again. I feel confident that the “isle in the water” is a reference to Avalon. 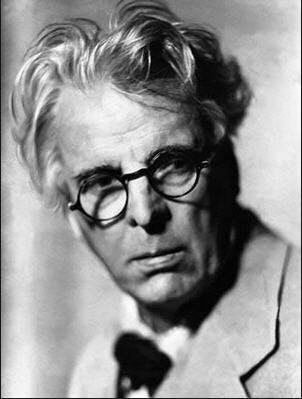 Yeats was fascinated with legends, myths, and the occult, so it stands to reason that he would incorporate one of the most recognizable symbols of the mystical realm into his poem. 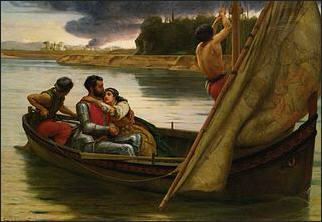 According to the legend of Arthur, Morgan Le Fey brought King Arthur to Avalon to recover from his wounds. Avalon was also where Excalibur was forged. The shy woman in the poem appears to be a pagan priestess. 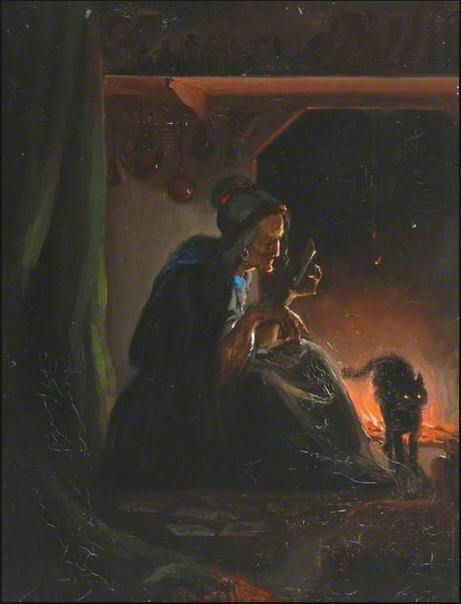 She is described as working by firelight, laying out dishes (which might contain various herbs or incense), and of lighting candles in a curtained room. The actions conjure images of preparation for a ritual. The speaker, whom I assume to be Yeats, appears passive, almost an observer or possibly a student. My guess is that he is describing an experience where a priestess is allowing him to participate in a ritual and Yeats is eagerly anticipating his glimpse of the magical island that exists beyond the mists. As far as a Yeats poem goes, this one is fairly easy to interpret. I suspect that is because he was still young and a novice in the occult arts (the poem was written in 1889, which would have made him about 24 at the time). Certainly, his later poems are more arcane and challenging. Still, I enjoyed this poem a lot. It just goes to prove that a poem does not need to be difficult to understand for it to be good.